Antonio Palmisano, my Great-grandfather was born November 10, 1871 in Termini Imerese, Sicily, (Italy). On March 3, 1898, he married Agata Polito in Termini Imerese. Agata was born September 25, 1875. They had two children, Leon and Liboria in Termini Imerese before they fulfilled their dream to come to the land of opportunities. Antonio first saw the United States when he was serving in the Italian Navy. The Palmisano family resided in West Point, Georgia in the early 1900’s. Antonio became an entrepreneur. He owned many businesses throughout West Point and Lanett. His first business was a fruit stand. He moved on to owning a drug store, taxi cab service and pool halls. Antonio loved to experiment with new products and invented a soda pop called 3 Center. He turned down an opportunity to own Coke Cola in the Atlanta area. He also invented a frozen desert, which was a banana dipped in chocolate and then frozen. Antonio never left the Valley area. He died on November 11,1945 in Lanett. 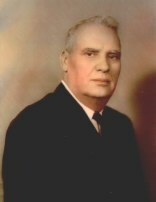 He is buried in West Point Cemetery next to his wife Agata and son Leon. In 1902, Antonio and Agata welcomed their first child to be born in the United States, Joseph Palmisano, my grandfather. He was born in West Point, Georgia on November 19, 1902. Joseph grew up in West Point along with his two older siblings and younger sister, Josephine. They spent their childhood helping Antonio with his business and playing baseball. Joseph became a great athlete. He decided to pursue his athletic career in baseball. 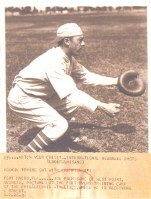 He received a baseball scholarship in 1921 thru 1925 to Georgia Tech. While playing starting catcher for Tech, he earned his degree in Civil Engineering. After his college days, Joseph was drafted and signed a professional contract with the Cleveland Indians. He had a long career, expanding over 20 years as a player and a manager. He traveled all over the United States, played for numerous teams and won many championships. He was a member of the Philadelphia Athletics 1931 World Series Team. He played for Portland of the Pacific Coast League, which was the Pacific Coast Champions in 1932. He was considered the best receiver in the Coast League. His baseball career also took him to the Southern League, where he played for Atlanta and Birmingham teams. As a manager, his team had a winning streak that won 57 out of 70 games. This is an 81% winning record. Joseph married Margaret Melbourne on February 14, 1927. They had two sons, Joseph Jr. and Leon. After his baseball career was over he resided Albuquerque, New Mexico. He died on November 5, 1971. Joseph Palmisano Jr., my father was born in Montgomery, Alabama on August 9, 1928. He spent his childhood in West Point and Lanett. My father also was a professional baseball player and he played for the Chicago Cubs Organization. Joseph married Mary Jean Utz on August 9, 1958. 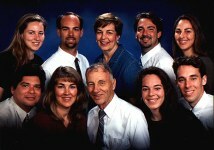 They have eight children, Joe, Dina, Marguerite, John, Gerard, Teresa, Leon and Michelle. I was born in California on January 5, 1969. I also have pursued a career in athletics. My profession is playing basketball. I received a scholarship to the University of California, Berkeley. I was a four-year starter and a two time All American. I became a professional basketball player in 1992 when I signed with a tea m in France. I have played in the professional European League for 8 years. While in Europe, I received All Star recognition and played for 4 Championships, European Cup Championship 1997-1998, Swiss Championship 1998-1999, 2 time Portugal Cup Championships 1999 and 1999-2000. This past September, I had a team in Italy contact me about playing for them. I told them that my family was from Termini Imerese and they were excited because the team is located in Termini Imerese. They asked me if I would be interested in playing as an Italian because of my family link to Termini Imerese. I agreed and that is when the long process of obtaining documents for three generations of Palmisanos began. I had to contact Georgia and Alabama to receive copies of birth certificates, death certificates and marriage licenses. I received Antonio’s naturalization certificate from Troup County Archives. Because these historical documents are saved in Archives, I am able to show my Italian decent and qualify for dual-citizenship. My sister, Michelle, and I are Palmisano waiting for the papers to be processed so we can play professional basketball together and we can return to the country that our great-grandparents, Antonio and Agata, left behind over a 100 years ago.